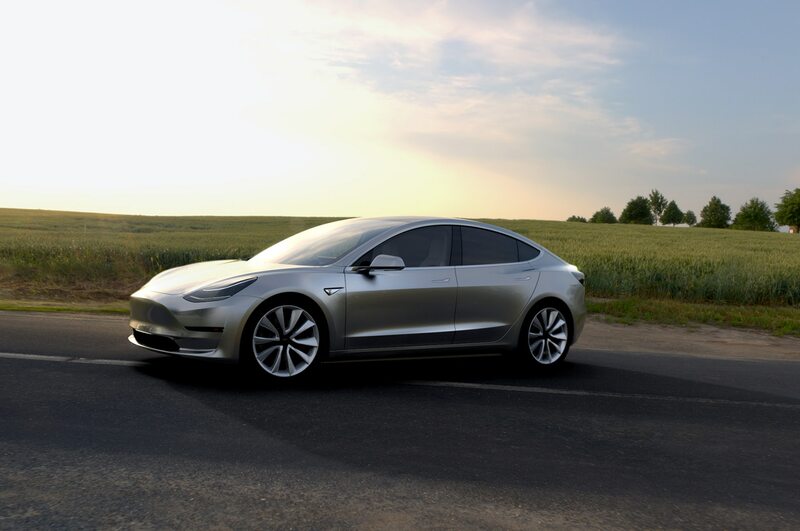 Our selection of the Tesla Model 3 as Automobile’s 2018 Design of the Year might come as a surprise, given some of the shots the company has absorbed when it comes to its unreal stock market valuation and founder Elon Musk’s penchant for overpromising. Yes, the Model 3s on the road now have been cobbled up with a lot of handwork making up for deficient manufacturing experience and skills. 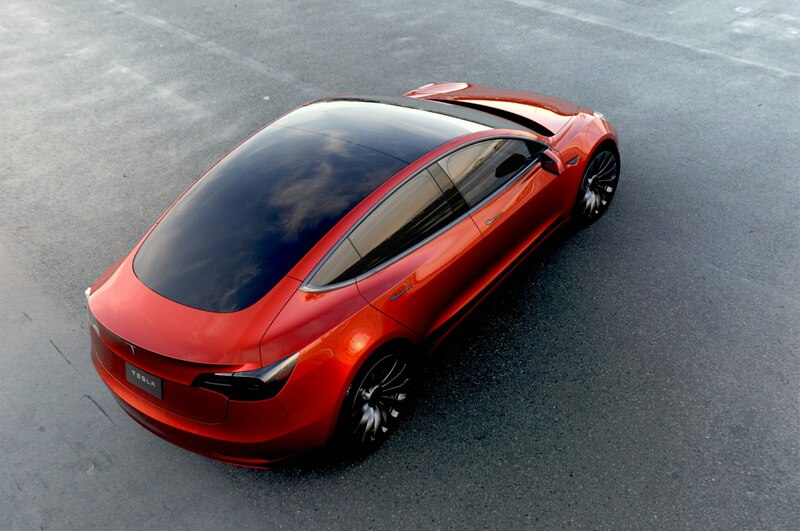 But ignore the commercial drama and the commentary from the Musk haters and naysayers and take a good look at the car itself. It’s neither spectacular nor shockingly innovative. 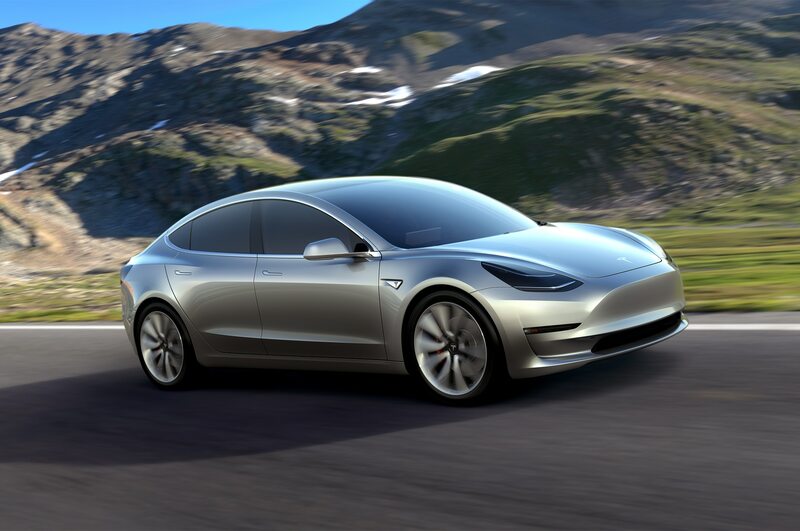 It’s just a really nice-looking, clean design that is instantly acceptable, despite the total absence of a traditional grille or representation of the same—as seen on the first Tesla sedans. 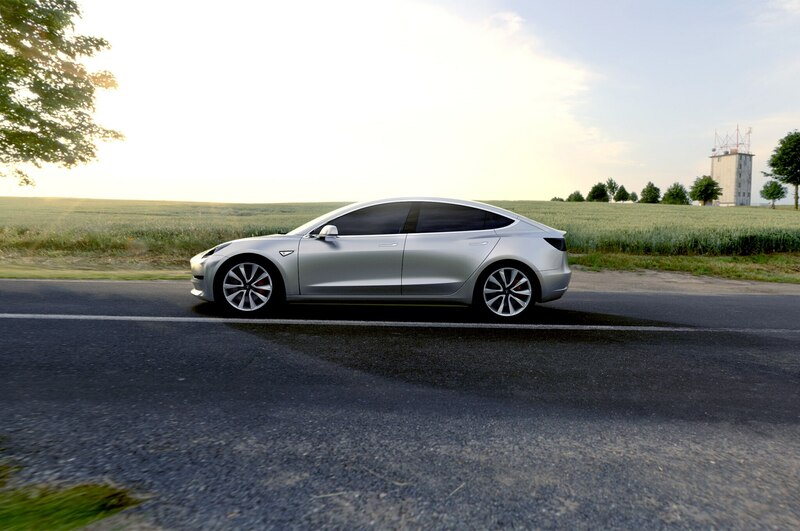 The Model 3 is quite evidently an electric car, and its designers made no effort to disguise that fact. Musk said the cabin would be “like a spaceship.” That has turned out happily to be inaccurate, at least if we compare it to the orbital craft we’ve seen so far. 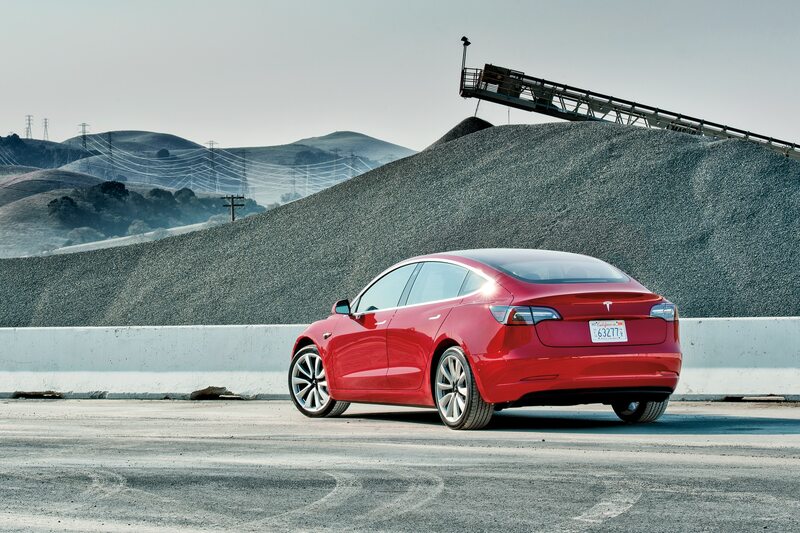 For several years now I’ve said the Tesla Model S is the best sedan I’ve ever driven. That’s no longer true. It’s not that I found recent Mercedes-Benz S-Class or Rolls-Royce sedans superior. Rather, I’ve done a few miles in the Model 3, which now holds the title of best four-door I’ve ever driven. 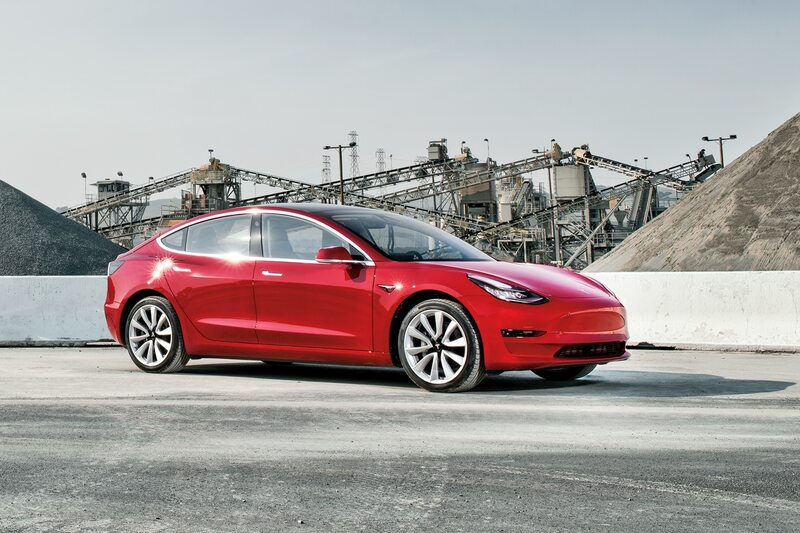 Whatever the price point, heritage, styling, reputation, or prestige of its rivals, the Model 3 is quieter and quicker, and it rides better than anything else we might have considered for our Design of the Year award. 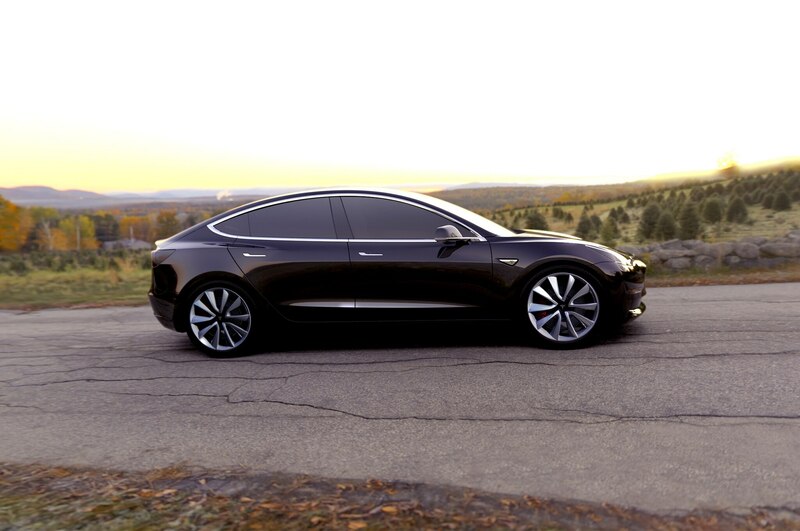 And as a plus, it’s a much handier size than the Model S, far more practical for daily use in cities and suburbs. 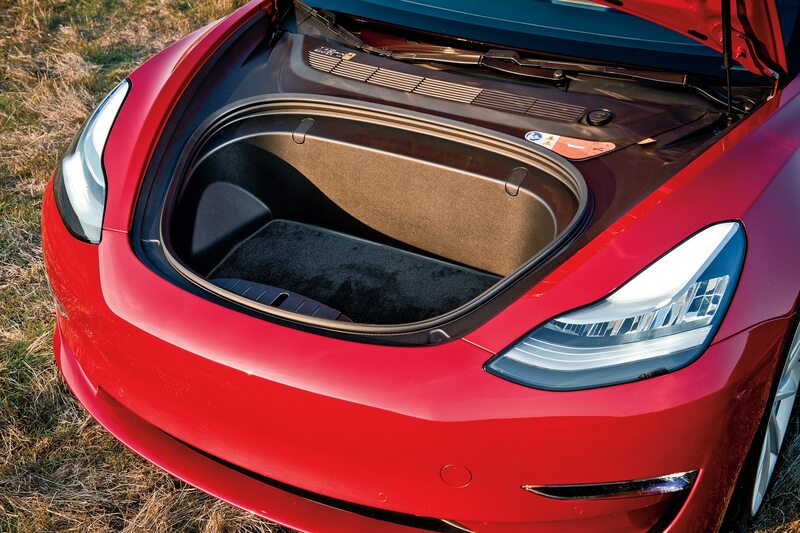 There’s nothing over the top about the Model 3’s interior save its optional all-glass roof, which dramatically opens up the cabin. 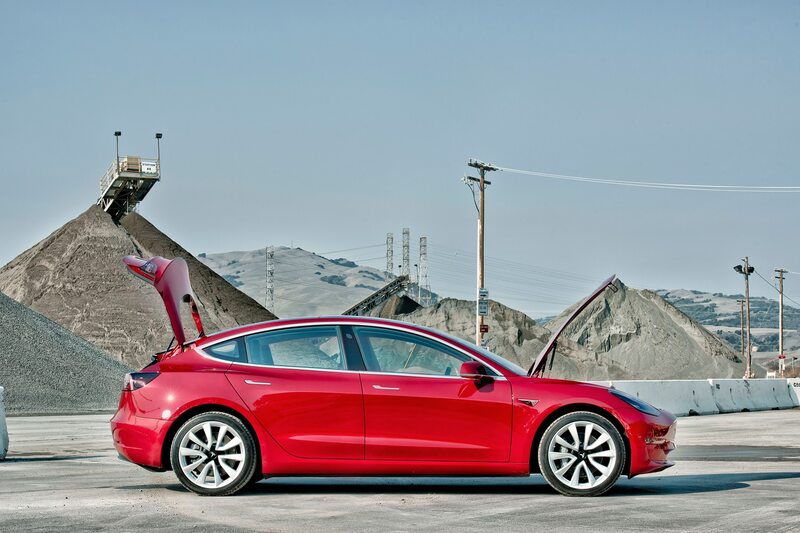 For the Model 3 to succeed, Tesla must build it in large numbers out of sheet steel, not the aluminum used for the Models S and X. That’s no special trick for any of the traditional carmakers, and although some of Tesla’s executives do have extensive experience in the traditional “tin box” industry, it’s all new for the factory team as a group. To build this car in big numbers at a profit requires a lot of advanced robotic operations that are, to date, not working as planned or as they should. But we believe those problems will not hold them back for a long time, as long as the company doesn’t run out of money. Ultimately, none of this has anything to do with the virtues of this BMW 3 Series-sized car. It has a longer wheelbase, more perceived cabin volume, and a better, flatter, and more comfortable ride, and it’s a lot faster than most variations of the German car that has been the class standard for decades. The optional two-piece glass roof enhances the sense of space for up to five occupants, as does the ultra-simple transverse panel in front of the driver and passenger, punctuated by a huge screen in the exact center of the car. But that positioning does not mean a driver must turn his or her head to see vital driving data. A year ago when the car was first revealed without an interior we could see, Musk said the cabin would be “like a spaceship.” That has turned out happily to be inaccurate, at least if we compare it to the orbital craft we’ve seen so far. The cabin’s style and presentation is more modern Scandinavian than Soyuz, and it’s inviting. 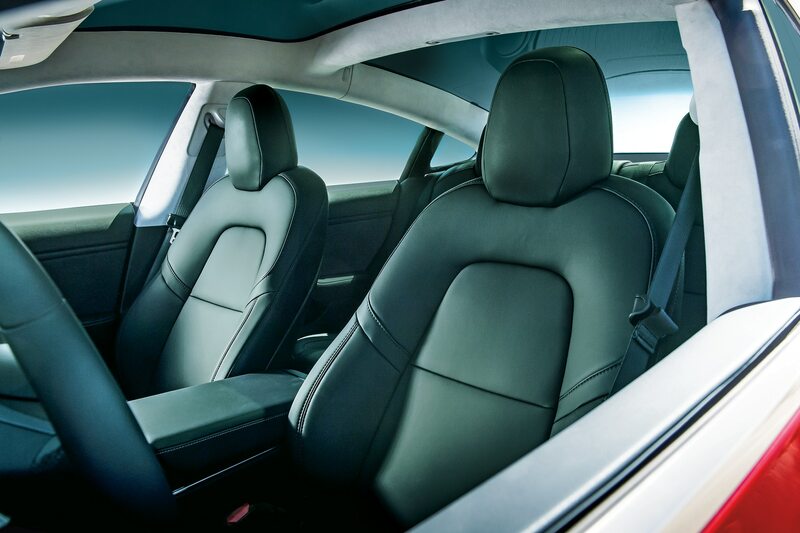 The front seats are comfortable, as are the two outer rear seats, but the center one accommodates only a small person. I sat in the outer back seat and found headroom excellent, but I did not ride there. 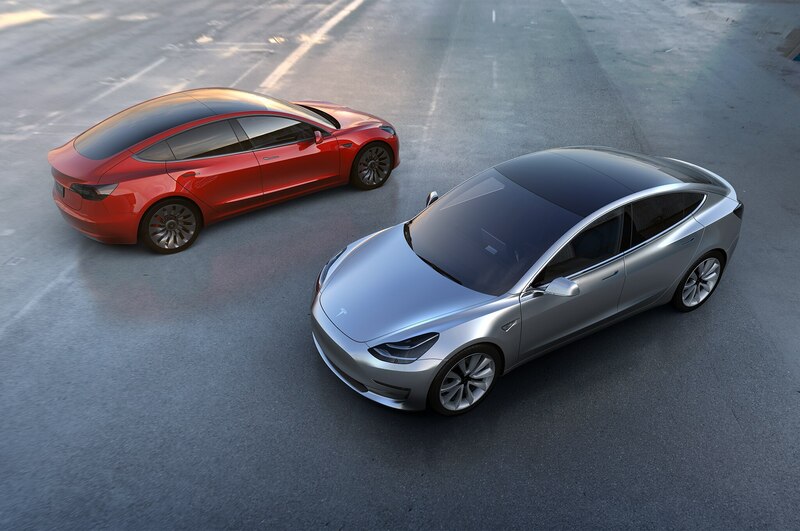 Given the very flat ride, even better than the Model S, the weight of the batteries in the floor and the car’s lack of body roll, I’m inclined to believe the Model 3 will be perceived as a kind of magic carpet for four adults, not five. 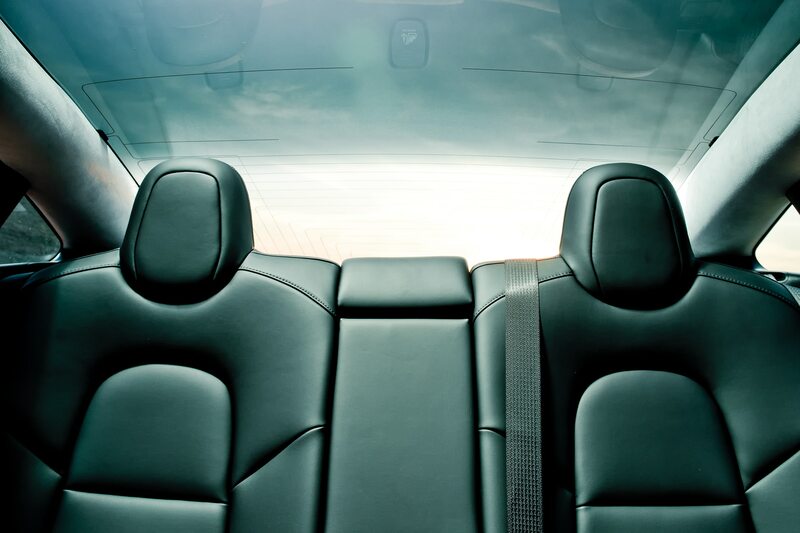 Still, that narrow person in the middle of the back seat will benefit from the high comfort level as well. And everyone benefits from the exceptionally agreeable interior ambience. No messy controls here. 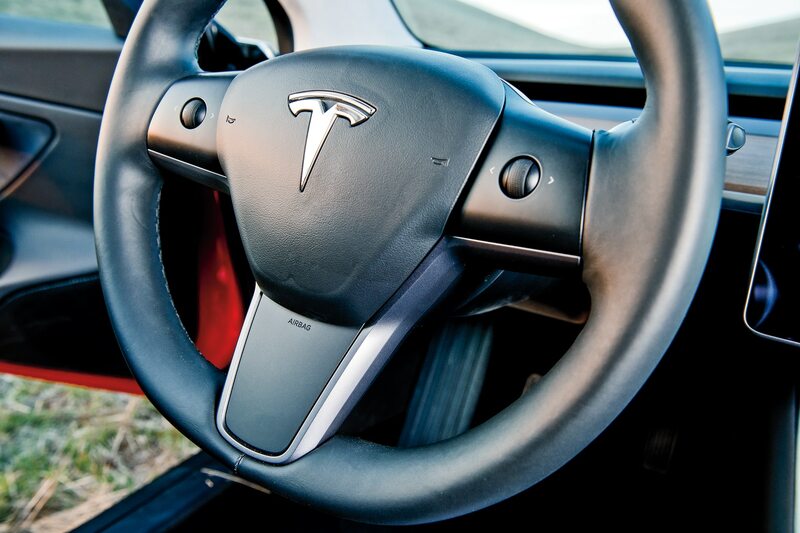 There are only two toggles on the Model 3’s steering wheel and no traditional instrument panel. A generous, 15-inch display dominates front and center. 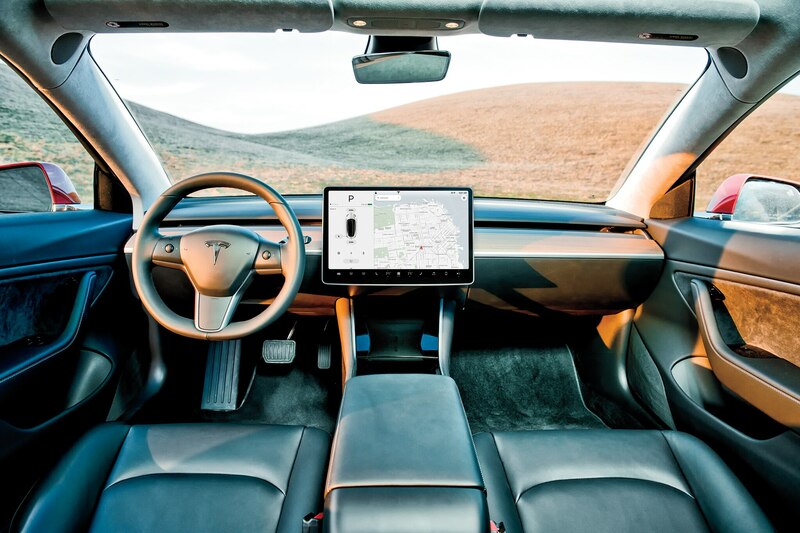 In semi-autonomous mode already available on all Tesla products, the car will, if cruise control is engaged, slow to a new speed limit by itself. It’s slightly disconcerting but quite easy to come to terms with. The same is true of its regenerative braking. All recent electric cars I’ve driven offer the driver a choice, a setting in which the car will slow down at about the same rate as a normal automatic-equipped car when you lift your foot off the accelerator and another mode in which the accelerator is almost the only pedal you need touch. You modulate the rate of retardation by the speed of lifting your foot, and in well-judged situations bring the car to a halt before touching the brake pedal to hold it in one spot. 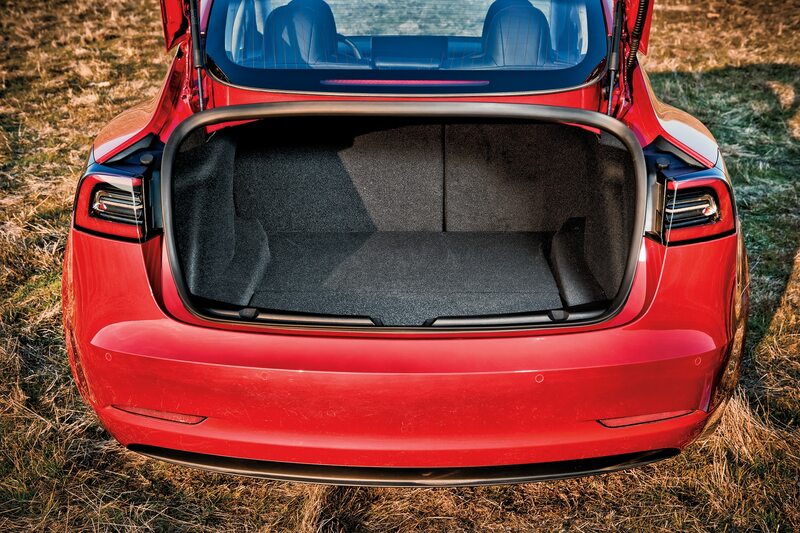 This solution is much more energy-efficient than letting the car feel more like a conventional vehicle. 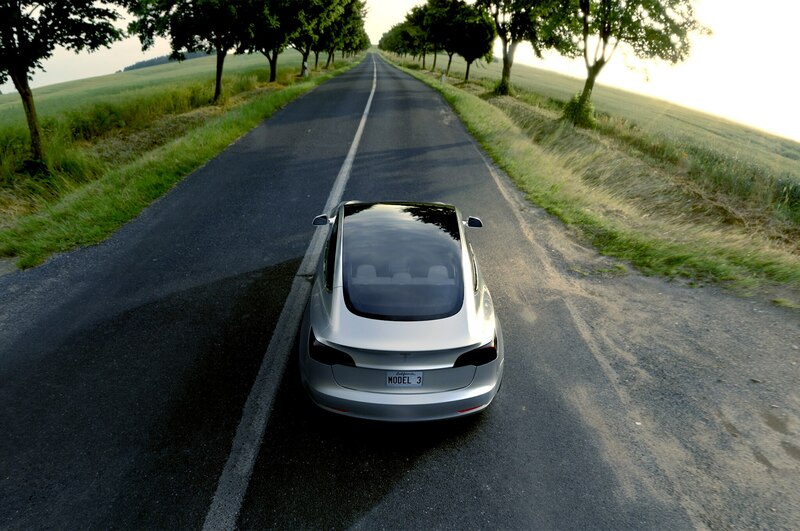 Tesla has an optional “creep” function that allows the car to move slowly if the brake pedal is released. 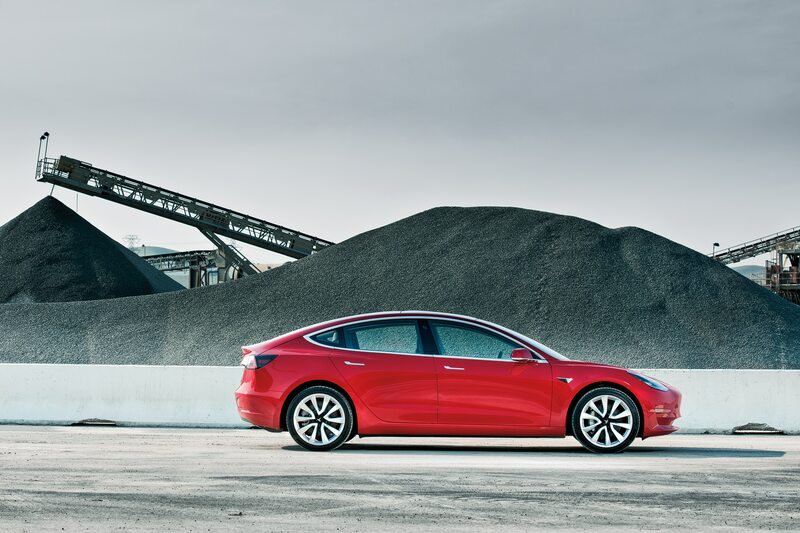 The Model 3 reminds us of classic Pininfarina designs of the 1960s: simple and straight-forward, perfectly proportioned with minimal extraneous detailing. There are a few unattractive aspects, as noted in our By Design column in October 2016. The integrated spoiler, however effective it might be, does look like an add-on and somewhat ruined the purity and relative elegance of the pumped-up fastback profile that provides such good headroom for the rear passengers. But all told, the Model 3 reminds us of some classic Pininfarina designs of the 1960s: simple and straightforward, perfectly proportioned with minimal extraneous detailing. It has all been done with unmistakably good taste. That’s a pretty good recipe for long-term success, whether for a fancy GT car or a family sedan.